Life changing book! It is eyes opening and mind bending book that everybody should read in their lifetime. First published in 1960, since then updated for modern times, this personal development classic is a gem to be treasured. 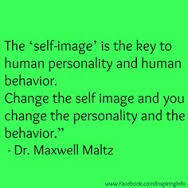 It introduces the term of self-image and its importance in our life. The author-dr Maxwell Maltz- was a plastic surgeon who discovered that while some people’s lives change dramatically after their cosmetic operation, other’s lives didn’t change. After many years of experience and observations, he concluded that the major difference between those who succeeded and those who didn’t was their self-image- their view about themselves in their mind. For some people changing their physical appearance will change their view on themselves dramatically. Some people though, cannot be changed just by cosmetic surgery (sometimes they don’t even need it)- they need to change their limiting self-image to really experience their true potential. This books gives you a lots of tools for personal development. It will teach you how to improve your self-image, use your positive past, set and achieve goals and on the way discover the key to a happier and more successful life. “Psycho-cybernetics” doesn’t teach you what to think, but how to think in a way that your whole life will be transformed for better. You could improve performance in any area of your life by simply readjusting your approach to the world and yourself.